We are very happy that our Select Saddle Mule Sale has so much interest annually. Because of this, and that we limit our sale mule numbers, we begin venting for consignments November 1st. You will be notified if you have been accepted by December 15th. Show how well the mule reins, backs and rides off away from the barn and other animals. Show any other qualities your mule may have; roping, cutting or other exceptional qualities. Verify Acceptance by calling Jake to make sure that we have received your video, his cell # (307) 272-6635, and to verify that your mule will be accepted in this year’s auction. You are consigning exclusively to this auction. Any sale will be considered a sale through this auction and sale commission will be expected. Because our buyers travel from across the nation to view and bid on mules consigned, you have one chance and one chance only to prove yourself as a potential returning consignor at this sale. Make good choices, bring great mules. and be honest! We look forward to having you join Jake Clark's Mule Consignor Family. VERIFY ACCEPTANCE: You are welcome to Call Jake 307.272.6635 to see if they have been accepted in the auction. INVOICE: Once Accepted, an Invoice will be emailed to you for payment of consignment fee early in January. PAYMENT: Once Consignment Fee is Paid, an email is generated with your user name and password in order to enter your consignment(s) due February 28th. Login to the Clark Management Company Page to enter your consignments AFTER you receive your user name and password. MOST IMPORTANT!!! Photo's are your first connection with any potential buyer. Get a Professional Photographer...Get Potential Buyers Attention! Advertising is through the Internet! Buyers are going to choose the mule they want to look at before they arrive. Make sure your mule is listed on their Potential Purchase List! Important!! Use a tripod for photo's & video's. Standing between the sun and the consigned animal. The SHADOW will be directly BEHIND your mule...shadow will show on the ground! Photographs need to be of high quality (300 dpi) and plan to use more than one. Each year a full color catalog both online and printed will be mailed out by request to interested buyers nation wide. View the PDF document on how to take great pictures of your mule. A picture is worth 1,000 words. VIDEO: USE A TRIPOD A bad video and shaky video..will turn off any potential buyer! If you don't present your consignment in the very best way possible, how do you expect the buyer to think it's the best mule here at the sale. Do your homework, do a better than average job, or hire a professional, best investment you may make. On the Jake Clark's MULE DAYS YouTube Page. Suggestion: Because the average length of a sale is 2.5-3 minutes, we suggest that you condense your first 2.5-3 minutes into 10-20 second highlights showing various qualities your mule has. After the highlights are seen, then you can show the longer version of those same highlights so if the buyer see's what they like, they will continue to watch your video and potentially bid on your mule. CONSIGNOR'S CONTACT INFORMATION: We enter every consignors phone number. Make sure that your phone number is correct. You are consigning exclusively to this auction. Any sale will be considered a sale through this auction and sale commission will be expected. CONSIGNMENT PAGE ACCESS: Once the consignment information is complete and you accept the input, the system will create your Consignment Page to promote each consignment entered. This page is IMMEDIATELY available for a buyer review. Review your Consignment Page on the website! Please make sure it looks correct once you have hit the SAVE button. Changes and updates can be made until the files are closed for catalog layout and sent to print. Access will be cancelled on March 6th. All mules must have a coggins test current within six months of sale date. All mules coming from a brand state & out of Park County must have a Brand Inspection. All out of state mules must have current Health Papers to enter sale premises. NO EXCEPTIONS. Absolutely no private sales in the yards before or after the auction. Management feels this is unfair to the consignors and buyers who have traveled to attend the sale. All mules brought to the sale must be consigned and sold through Jake Clark's MULE Auction to be sold with the Mule Days Guarantee. We will leave it up to the integrity of the seller to forward any commission on mules that go through the ring as no sales, but are sold because of the advertising and efforts of the Jake Clark’s MULE DAYS. There will be a cataloging fee of $200.00 per head for all mules. This fee will be non-refundable. An 8% commission or a minimum of $250 will be charged on all mules sold. There will be a no-sale/Never Offered charge on mules of $250.00 in addition to the catalog fee. The Never Offered Fee can be waived with a video showing the health issue and a letter from a vet stating the health issue. Animals that are rejected by the buyer because they are misrepresented in the ring will be charged 8%, same as if sold. Our veterinarian and Jake Clark must check these animals and will make the final determination whether there was misrepresentation. All mules will be charged a $13.50 brand inspection fee by state law. Each consignor will be totally responsible for guarantees they make on their animals & guarantees will be made only from the auction block while the animal is being sold. Absolutely no guarantee or warranty will be expressed or implied by the auctioneers or ring men. If you are not happy with these guarantees, please do not consign your mule to this sale. Each Mule sold at Jake Clark's Mule Days Auction will be guaranteed sound by the consignor. If the mule is not considered sound, the buyer has until Monday following the sale, at 12 noon to have Jake Clark and Jake's veterinarian inspect the mule. Jake Clark will make the final determination as to soundness of the mule. If the mule is considered unsound, the buyer will be returned his purchase price, less fees. The seller of an unsound mule will not be paid for the mule and will be responsible for any fees in conjunction with the sale fees and shipping costs for return of the animal. CHECK-IN: All mules must be checked in no later than Thursday by noon. STALLS are provided for each consignment and will be available as early as Sunday preceding Father's Day. Best way to promote your mule to all buyers that attend is to arrive early. All Mule Days events are a great preview opportunity for any mules in the sale. See "Schedule of Events" Page for Listing of Times for various Activities. No animals will be removed from the premises until paid in full via sales receipt and brand inspection received. Trucker, Transporter, or Buyers must have possession of the Sales Receipt to remove animals from the area. Brand Inspector and Veterinarian will be on sight on sale day. Located inside south door of the big barn. Obtain your Brand Inspection and Health Certificate from them by showing a copy of your paid receipt. BRAND INSPECTION Requirement: All animals consigned and./or sold through Jake Clark's MULE DAYS are required by law to have in possession a brand inspection (title of ownership). HEALTH CERTIFICATE Requirement: A health certificate is required if you will be transporting animals across a state line. All mules must be removed from sale area/grounds by the following Monday, at 6 p.m. or make other arrangements with Jake Clark for proper care (307) 272-6635. After this date a daily stall and feed cost will be due. All consignors' checks will be mailed out within 10 business days of sale date. This allows time to verify any lien positions of the legal owner of the mule. Buyers, sellers and spectators are cautioned to exercise care while attending the sale and enter premises at their own risk. Jake & Kay Clark, Jake Clark's Mule Days Committee; its principals, directors, officers, agents, employees and volunteers, and each and every landowner, municipal and/or government agency upon whose property this activity is conducted, shall not be liable for injuries sustained by anyone attending the Jake Clark’s MULE DAYS. 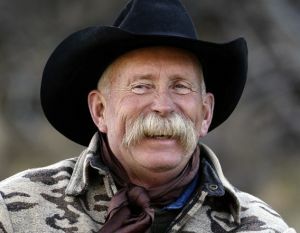 Jake Clark’s MULE DAYS, Clark Management Company & its associates act as agents only and are not responsible for buyer/seller error or misunderstanding. All guarantees are strictly between the buyer and seller. Transport papers must be provided by the Seller to Clark Management Company in order for any mule to be sold. In further consideration of consigning a mule to the Jake Clark’s MULE DAYS, as a consignor, I agree to indemnify and defend the Clark Management Company, Jake and Kay Clark and the Jake Clark's Mule Days Committee, their agents and associates, from all injury, loss of equipment, loss of animal or damages to myself, my animals or damages or injury to others or lien property from my animals, by entering this Mule Sale at Ralston, Wyoming. The undersigned by executing this instrument delivers said property to the Clark Management Company and declares himself/herself owner or legal agent and authorizes the sale thereof at public auction for his/her account according to its usual custom and represents the consignment is clear of all encumbrances unless listed above and may be legally sold. By consigning a mule to the Jake Clark’s MULE DAYS, as a consignor, I verify that I have read the Auction & Consignor Information along with Terms and Conditions for Consignors and hereby agree to be bound by them. Jake and Kay Clark of Clark Management Company will conduct the Sale. Clark Management Company is bonded and licensed with the Wyoming Livestock Board. Once accepted into the Saddle Mule Auction you will be issued a login to enter your mule(s) online. 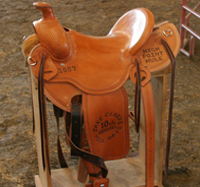 Trophy Saddle Awarded to the Consignor of the High Selling Mule.